Make your little girl look stylish as you dress her up in this Bell sleeves top from the house of Beebay. This top is made from soft fabric and is super comfortable to wear. 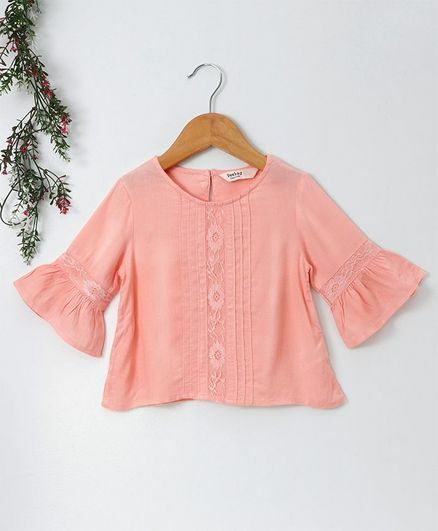 It features lace detailing on the front and the sleeves which gives it a trendy look. Styling Tip: Mix n match this Top with shorts and sandals.